Because we understand the paradox that results from desiring a simpler life yet wanting so much more out of it, we have created an environment that brings the best of both worlds. Offering you an unrivalled lifestyle, all designed with you in mind. An environment that gives you the possibility to indulge in everything you wish for, without any compromise. iCity is proud to introduce the 4D interface, a new invention in the world of master planning. The interface was developed to enhance the user experience by removing any intersection between vehicles and humans, this means absolutely no roundabouts or crossings; making iCity a safer community for the whole family and an easily connected, user-friendly & personalized city. The state-of-the-art 4D interface weaves four masterplans into one: a master plan for the iDrive, one for the islands, another for the Cornish, and a fourth for the parks, all designed to provide you with an enhanced living experience that is more pleasant to the eyes, easier to navigate and safer for the whole family. 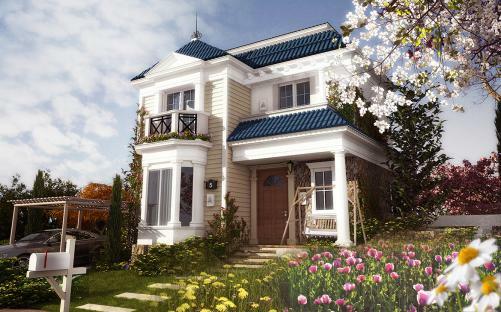 The C-Villa is a home that embodies your peace of mind and your need for personal space. Even more, it is a home designed to ensure your wellbeing and give you the privacy you’ve longed for. Inspired from its serene surroundings, the cVilla is designed to recreate the peace and quiet of suburban living, ensuring a calmer and more relaxed lifestyle. 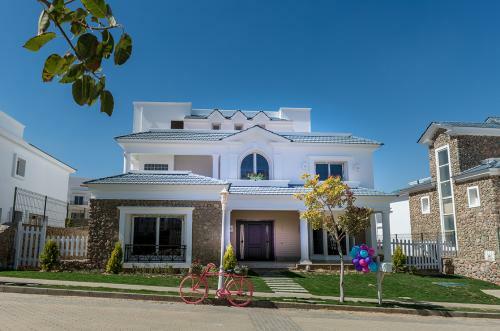 The three-story home is cleverly designed with well-separated spaces to ensure comfort, create privacy and provide versatility for the whole family to enjoy a diverse range of activities. Innovative, the cVilla boasts a unique leveled design that makes the most of space and creates safer, children-friendly environments both indoors and in the garden. The C-Villa, a home that truly understands and responds to your need for privacy and your need for space. The iApartment, is the newest stellar innovation by Mountain View, a home designed based on your insights, aspirations and dreams. A premium, smart home that ensures everyday comfort. An avant-garde proposition that offers its residents space efficiency, and responds to their needs seamlessly. As an iApartment owner, you get access to premium facilities, that make everyday life easier to navigate and a whole lot more enjoyable! We’ve designed buildings that offer their residents the benefits that would typically come with standalone homes: without the hassle that typically comes with living in and up keeping a villa even more. it is a home that fits your budget preferences with features including private parking for enhanced security and convenience, private storage for a clutter-free life and shared amenities such as the sky lounge and private court as extra room to host your favorite social gatherings. The first brainchild of Mountain View and its pride for the past 12 years, the Mountain View Villa is the dream home of every one of us drew as a child: A spacious, American style house with slanted rooftops, a spacious garden, front yard and beautiful indoors for the whole family to enjoy. Yes, the Mountain View Villa was built to prove to the child within that the dream can come true. Available in different sizes and featuring different rooms, the Mountain View Villa, is a signature product, and the oldest developed by Mountain View. 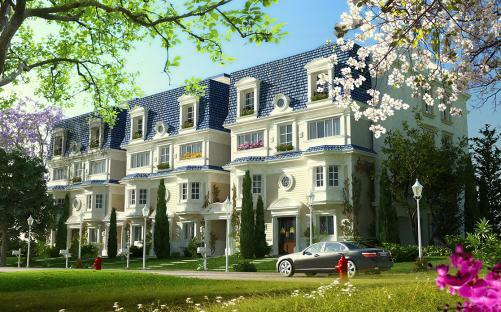 These homes offer spaces that make everyday life comfortable for all the family. Simple design that caters to your needs and pleasures, the Mountain View Villa is the perfectly suited home for happy families to thrive.